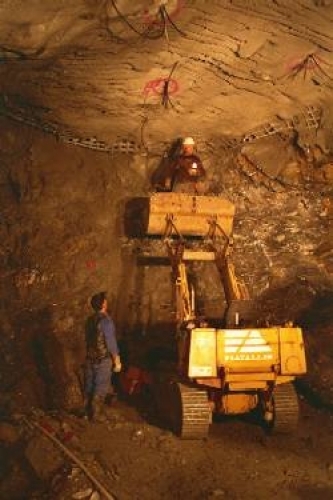 The tunnel is used as compensation chamber for the Luzzone hydropower plant. Due the dam raising it was necessary to enlarge this chamber. The SOFO sensors were installed radialy in order to measure the rock deformations during the different phases of construction. 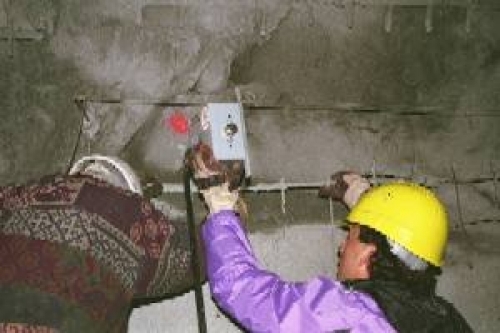 The recorded deformations were used to optimize the thickness of the shotcrete lining. Installation of the connection box.